What can E15 and Flex Fuels do for your C-Store? Enter your volume and margins to see the profits you might be able to gain by adding E15 and flex fuels. Left side shows volume and inside sales increases average E15 and flex fuel retailers have shared with us, Right side reflects sales and profit levels reported by the highest performing retailers currently marketing flex fuels. Neither example should be considered a "prediction." Station owners and retailers understand their customer base and market conditions well enough to make their own assessment. These examples are included to remind marketers other areas that can be affected by adding a new fuel. 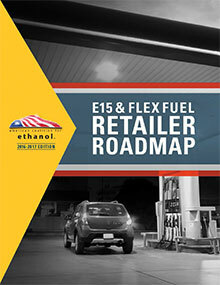 Most E15 and flex fuel retailers have stressed increased customer counts and inside sales as the most important factors in the financial success of adding higher ethanol blends.